If you're the only adult at home and need to move a vehicle, even just a small distance, put children securely in the vehicle with you while you move it. Limit a child's access to the driveway - for example use security doors, fencing or gates. Be aware of your vehicle's blind zones and learn the best way to use the mirrors and any other reversing aids in your vehicle. The NRMA Insurance Reversing Visibility Index is a useful source of information. The Federal government's web page "Driveway Safety: Are Your Kids at Risk?" provides advice about keeping children safe around vehicles at home. 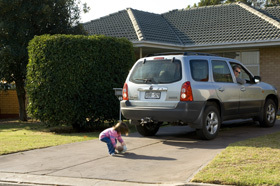 ‘Driveway Safety Design Guidelines’ - a discussion paper proposing home and driveway design principles aimed at protecting young children and reducing the number of driveway deaths in Australian homes. Submissions close Tuesday 6 August 2013. 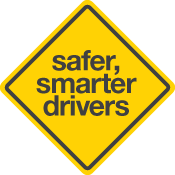 Feedback can be submitted online via the Department of Infrastructure and Transport website or by email roadsafety@infrastructure.gov.au.